With the New Year well underway, it’s time to start filling up your calendar with upcoming industry events. But with the bombardment of various conferences, seminars and expos that are typical to the label and packaging industry,it can be difficult to justify the expenses that are associated with continued education and networking. Cheeseheads rejoice! Manufacturers and converters alike with be gathering in Green Bay, WI for the converting event of the year. Whether you’re on the hunt for a converting partner or want to learn the latest in industry innovation, you will not be disappointed in this event. Coming to a city near you! Back by popular demand, the Digital One is hitting the road again for the 2019 installment of the Digital One Roadshows. First out of the gate is Charlotte, North Carolina. Interested in learning more about what to expect when one of these shows drives through your city? Learn more here. An industry gamechanger, the craft beer sector has forced converters to think outside of the box as they continue to revolutionize the short-run label and flexible packaging status quo. Following their lead, this conference may be a little outside of the box for printers. But with craft beer sales showing no signs of slowing down, this is the perfect environment for converters to flex their short- and micro-run capabilities and provide attendees the information they need to learn how to increase their shelf appeal through label production. Training at Mark Andy University is an ideal approach to optimize the productivity in your flexographic pressroom. All operators can benefit from Mark Andy University's various OEM-based training courses, regardless of experience. Courses on basic troubleshooting, Digital One and Performance Series print training take place through the year. Are your production experts eager to grow their knowledge base? YES - of course they are! This is the event for those looking to improve upon their technical prowess. In addition to impactful education sessions, attendees have the opportunity to network with other industry professionals and learn a little more about the latest in labels, flexible packaging, premedia, digital printing, finishing equipment and hybrid technology from one-on-one exchanges and/or at the tabletop exhibits. Taboo to some, the cannabis industry is booming, especially when you take into consideration the variety of products flooding the market. From health and beauty aids like lotions and oils to consumables like edibles and tea, the cannabis retail market is one of the most saturated medicinal and recreational CPG verticals..
As the premier business forum in the industry, the MJ Biz Conference is the perfect opportunity for packaging sales reps to establish relationships and educate on the importance of prime labels and flexible packaging while carving out a niche in a rapidly growing vertical. If you are looking to add digital in the next calendar year or two, this event is for you. The invitation-only, all-expense paid seminar is catered to print businesses with digital investment intent. 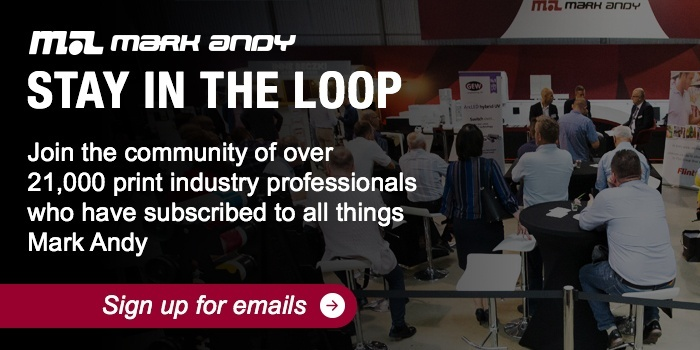 At Mark Andy, we participate as highly value the relationships and educational opportunity the NAPCO Media sponsored event provides. PS- We also won the Case Study Competition in 2016 and are gunning for the winning title once more. Ask yourself this: is flexible packaging a part of your current or future business plan? Light carton? All of the above? 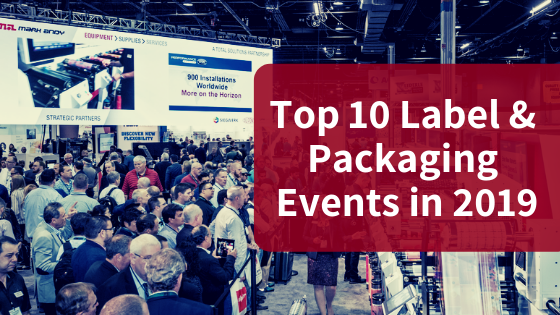 If you answered yes, this is the most comprehensive packaging-centric trade show of the year. See technology in action, learn how to overcome many of the barriers that come with entering a new territory and find the best partners to give you the edge needed in a competitive industry. This event is a wonderful opportunity to hear industry juggernauts - including our very own Vice President of Sales and Marketing, Steve Schulte, a TLMI board member - share their findings from educational topics which vary from economic forecasting to management insights to innovation in converting. TLMI itself is dedicated to providing the knowledge and tools necessary for its members to be successful in the label and packaging industry. Membership is a priceless resource for converters striving to be industry leaders through market intelligence, early technological adoption insight, events, industry outreach and networking and more. An oldie but a goodie, Labelexpo Europe is the most established event of its kind with 2019 set to be its 39th show. 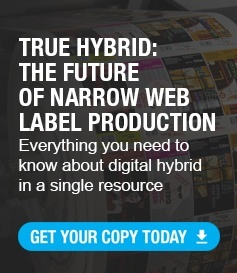 As the largest event dedicated to the label and package printing industry, it truly is a must-attend for converters. Industry powerhouses will release their latest technological advances - from a competitive advantage standpoint, you do not want to be on the sidelines. Bonus - we received wonderful feedback about the Polish brewery we flew in during the ‘17 show. We’re looking forward to stepping up our hospitality game this September. Which events will you be attending? Be sure to comment below to let us know!